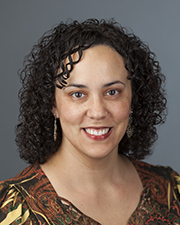 About the author: Ana Paula G. Mumy, MS, CCC-SLP, is a trilingual speech-language pathologist and a clinical assistant professor in the field of speech-language pathology. She has extensive experience working with individuals with communication disorders, particularly bilingual children. Her specialized interests include articulation disorders, stuttering, early language-literacy, and bilingualism. When I think about a world that understands stuttering, I consider my own journey of coming to understand stuttering as a speech-language pathologist (SLP) and as a mother whose son went through a period of marked disfluencies in his own speech. As a young therapist, I did not understand the multifactorial nature of stuttering or the multifaceted impact of stuttering on a person’s life. My approach was limited to external strategies or “tools” to manage what seemed to be unpredictable communication challenges. These challenges were also largely addressed in the context of contrived therapy experiences. This written reflection is my attempt to portray the importance of SLPs growing in their own understanding. My desire is that we may help individuals who stutter find what’s already within and accessible to them to become effective communicators, with or without stuttering, in the context of meaningful life experiences. Prisms refract light. Though my understanding of physics and the properties of light waves is meager, when I see a rainbow, I understand the refraction of light. Water droplets refract light, breaking it into its spectrum colors, and subsequently, unveiling a stunning sight. This summer I was able to participate, for the second time, in a therapeutic summer camp for youth who stutter (Camp Shout Out). I am always amazed at how much I learn when surrounded by 50 young people who stutter as well as dozens of dedicated speech-language pathologists (SLPs) and graduate students who are passionate about serving them. I returned home with the picture of a prism in my mind. As I sought to understand prisms, I learned that originally it was believed that white light was colorless and that prisms themselves produced color. Through Sir Isaac Newton’s revolutionary experiments, it was discovered that the colors already existed in the incoming light. In other words, the prism did not create colors; instead it separated colors that were already there. I witnessed a lot of “refraction” during this year’s camp experience. What stood out to me the most was the emphasis on guiding children and teens, to access what was already present within them, in order that they might become the best communicators possible. Instead of being guided to “pick up speech tools” to manage their speech, they were guided to engage in tangible actions that were readily available and within reach, which yielded effective communication. I marveled as I watched SLPs and graduate students become prisms, not creating color but making present colors beautifully visible in young people. You might be thinking to yourself, what are these present colors that can sometimes appear as colorless light? The simplest yet most powerful one is the breath – merely attending to the breath and letting the natural “phrase of exhalation” be the “phrase of talking” (Kristin Chmela, SLP and fluency specialist). Another action was tangibly acknowledging and reinforcing the evidence of assertiveness and confidence such as powerful voices, strong handshakes, sustained eye contact, tall postures, and courage to take on difficult speaking situations. The concrete acknowledgment of positive thoughts and actions is amazingly transformative. In a nutshell, through the intentional process of observing, noticing, modeling, encouraging, guiding, and praising powerful actions, we saw young people access their limitless potential within. As I strive to grow as a therapist, I desire to be a prism, that the true colors of individuals I serve may shine brightly – and that the world may better understand stuttering! What a lovely and well thought out piece of writing. I really love the idea of prisms. I haven’t spent much time thinking about prisms, nor did I know any history behind them. But now, I’m all in on prisms ! Such a creative way to look at how we can touch the lives of others and help guide another human (or them guide us). Your association with Camp Shout Out is just priceless! Thanks for being you and thanks for sharing!!! Ana Paula – what a great reflection. I love using analogies to illustrate things that are not always well understood. I always knew I had a voice, I just had to find it. I had two really good therapists who served as prisms for me, who helped me reach deep within and find and trust that voice that was already there. I used to think stuttering meant I couldn’t be an effective communicator – how happy I’ve been to learn how wrong that is. Your mention of the “breath” is of course like mindfulness which I try to attend to when I have stuttering moments that throw me for a loop. Thank you for such a great ISAD contribution. I have a question for you! In relation to the two therapists you mentioned, are there tangible things you remember doing or learning/hearing that helped you the most as far as finding and trusting your voice? I’m always fascinated by what that process involves. But that may be too broad of a question! I am glad you enjoyed this piece, Scott and Pamela! I like your prism analogy to remind us to look for the skills that are already within a person. Seeing the youth at camp provides opportunities to observe the participant in various communication contexts. When working with a child in a clinic or school setting, what is your preferred way to obtain this information (i.e., observations in natural settings; interviews with the parent and child)? Glad you enjoyed my reflection piece. When working in a clinic or school setting, I try to be mindful of contextually-based opportunities to help CWS/PWS experience effective communication, with or without stuttering, in situations that are important to them (e.g. oral presentations, talking to teachers about what is helpful/not helpful, calling to make an appointment or a reservation, interviewing for a job, ordering at a restaurant, etc). In order to gauge where there are breakdowns or barriers to effective communication, I will either observe in those environments when possible or obtain feedback from the student, parents, teachers, school-based SLPs, etc. We may simulate or role-play situations, but again, the key is helping them find from within what they already possess to be effective communicators beyond “not stuttering.” Does that answer your question? Thank you for the insightful reflection! We always need to be reminded of our role in helping others to achieve their full potential. It is what drives good therapists to be great ones! Thanks, Nolan, for the feedback. Glad you enjoyed it! This was beautiful! I loved your writing and all of your symbolic thoughts on how we can better help PWS. I am a graduate student working on my degree to become a SLP. You have truly inspired me. Reading this made me realize that I also want to be a “prism” who helps people who stutter see their true value and potential! Thanks, Kristen, for the encouraging feedback! Best of luck to you as you finish grad school! What a wonderful analogy to use when describing what you strive to be as a speech-language pathologist. Currently, I am in graduate school to become an SLP. We have talked a lot about how important it is to be there for a person who stutters and let them know that stuttering is okay. I like how your prism analogy focuses on the naturalness of communication, and how SLPs can become people who let a person who stutters freely shine. What a thought-provoking way to describe how one can grow in the field, and how applicable the same analogy could be for other clients beyond people who stutter. Thanks, Anna, for your positive feedback! You are so right that this analogy and its principle applies to any population we might serve. Take care as you finish grad school! Beautifully written, Ana! There is so much more to us than our stuttering. I like how you used the properties of light and prisms to portray this (I’m also a physics fan). I’m glad you enjoyed it! Nature in general fascinates me so I often look for analogies or ways of explaining difficult things through nature and naturally occurring phenomena! Of all the articles that I’ve read thus far for this years National Stuttering Awareness month, this has been by far the most enlightening. I LOVE your “prism” analogy. What activities did the summer camp provide that you found most effective for individuals who stutter? What a sweet comment…you made my day! To answer your question, what I have found is that the activities in themselves are not really the most important thing. It’s how they engage in the activities we set up or the speaking situations/challenges they chose on their own. What we attempted to instill in them was engaging with assertiveness, portraying confidence, courage, being proactive, etc. At the very least, it leads to a good conversation. Learning about confident body language is a lesson that many people have interest in. Who doesn’t want to look confident??? You’re right, Tricia! Confidence is so important and it’s so tied to positive feelings and thoughts from within. Thanks for reading! I think this is a very simple, yet a very power analogy! I am currently a graduate Speech-Language Pathology student and I think this is a wonderful message that SLPs need to keep in mind. As SLPs we can act like prisms to help bring out the wonderful and unique communication that is within all of our clients. I especially found it powerful when you said, “The concrete acknowledgment of positive thoughts and actions is amazingly transformative.” It is truly incredible what these adjustments in thoughts and actions can do for an individual. The simple act of holding your head up high can give you that sense of self-confidence you might have been lacking, no matter who you are! We all have these unique talents, personality traits, and thoughts and sometimes all it takes is a prism (whether that be a significant other, a family member, a friend, an SLP, a more confident way of thinking etc.) for our unique personalities to shine through. Thank you so very much for sharing this wonderful analogy! I will make sure to remember this as I complete my schooling and become a practicing clinician! I’m glad it resonated with you! I’m so pleased to see so many graduate students participating in the conference. Take care! The last day of the conference so no need to respond to this, Ana Paula, but what a beautiful and appropriate analogy! One Christmas, among other gifts, I gave each of my grandchildren a prism to hang in their window to remind them of an external blessing and promise represented by a rainbow when sunlight cast colors on their wall. But your analogy extending internally relating it to our clients who stutter is so appropriate. I think if I were still working with clients, I’d buy several prisms and present one at the end of therapy as well as one to hang in my window, to remind me of your insightful words. What a wonderful idea to present a prism to our clients as a tangible and visual reminder! Thanks, Judy! This is truly beautiful! I am blown away by the mental image of colored light shining from within a person who stutters. It’s fantastic that your experience helped you form this creative idea that in turn can help bring inspiration and awareness to more people in the world. I don’t think I will ever look at a prism the same way again and that is a wonderful thing! I am delighted that this mental image will stay with you!